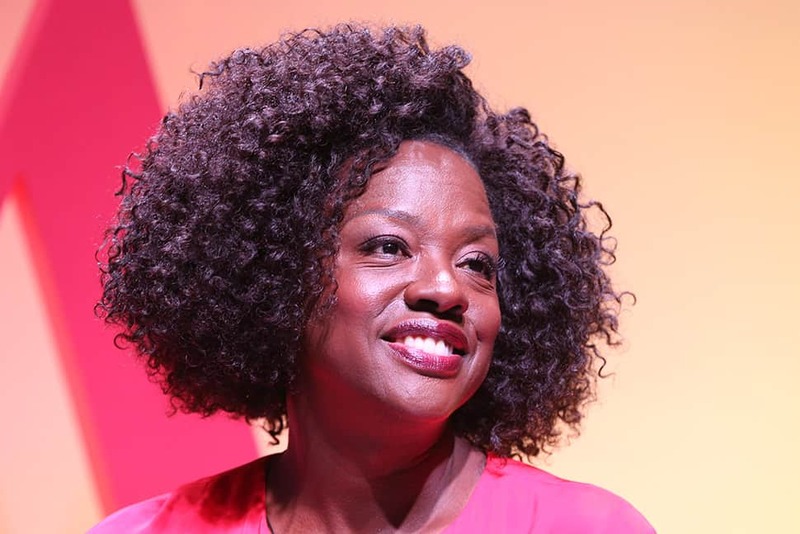 Viola Davis has accrued some serious hardware—an Emmy, a Golden Globe, an Oscar, and two Tonys—for her roles in film, television, and theater. Now the actor is taking on children’s literature. 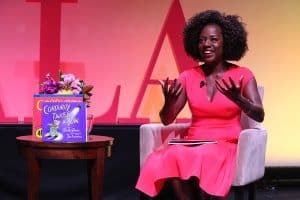 American Libraries caught up with Davis to talk about libraries, storytelling, and her forthcoming book, Corduroy Takes a Bow (Viking Books for Young Readers, September), before her Closing Session appearance at the 2018 Annual Conference and Exhibition in New Orleans on June 26. What was the inspiration for Corduroy Takes a Bow? Was Corduroy an iconic character for you growing up? He was an iconic character for me, but more so for my daughter Genesis. I would read to her every single night, and that was the book that stuck. I had to read it over and over and over again. I’m always trying to please my daughter. I always think, “What can I give my daughter?” It’s an homage to her. What was it like stepping into the role of a children’s book author? Intimidating. The thing about the world of children’s books is you have to allow the character to be who they are. You have to allow Corduroy to be curious without making him look like he’s mischievous. There’s got to be a lightness to it. Just to be able to tell a fluid story, to have that friendship between Lisa and Corduroy, to keep it fun—it was intimidating. What role have libraries had in your life? [Libraries] changed my life. I remember I was in kindergarten at Broad Street School, and school would be out at 2 o’clock, and I would walk to Adams Memorial Library on Central Avenue in Central Falls [Rhode Island]. I would stay there until it got dark. It was almost like stepping into the Land of Oz. I would just take book after book after book off the shelf. It was a relief from my life—that’s how I saw it. Then there were the librarians. Denise always saved half of her lunch for me. It was like Pavlov’s dog. As soon as I ran into the library, I would stand by the front desk and wait for Denise. She always had half a tuna-fish sandwich and a little cake [for me], and then I’d go downstairs to the children’s section. Your production company, JuVee Productions, emphasizes character-driven narratives and mentorship. How do you decide what projects to take on and whose voices to amplify? I always try to amplify the voices of people who are usually voiceless and on the periphery. The docuseries The 4%—4% of prisoners who are on death row are actually innocent. Two Sides of the Truth—police-involved shootings from both perspectives. Hollywood wouldn’t necessarily push these stories, but they intrigue me. I have to feel like I’m not watering it down to make it palpable. Manchild in the Promised Land [by Claude Brown] was the first serious book that I read that changed my life. It was straight, no chaser. It was honest and insightful and that’s what I look for in narratives: what’s different, what’s going to wake people up, what’s going to give them a dose of truth. In interviews you’ve spoken out about the gender pay gap. 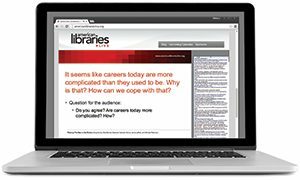 Librarianship is a profession that’s about 85% women but still deals with similar inequities. Was there a piece of advice someone gave you, or something you learned, to help you combat inequities in your career? Is there any other genre or creative outlet you’d like to take on? Are you going to go for the EGOT (Emmy, Grammy, Oscar, Tony)? If I were to give you an honest response, I would say no. I’ve gotten increasingly not ambitious. I want to be on the beach in Hawaii somewhere. I want to meditate, even though I’m crappy at meditation. But every genre imaginable, I would love to take on. I watch Jurassic Park, I’m like, “I’d like to run from some dinosaurs.” I love character-driven anything. I just want to be woken up. I just want to be surprised. No one knows what works anymore. Sometimes tentpole movies don’t work. They have the tendency to have the same archetypes. If someone says, “When did film start becoming different?,” I want my name to be in there. And the EGOT thing … yeah, maybe [laughs]. 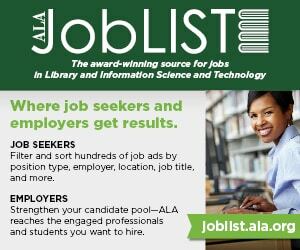 TERRA DANKOWSKI is an associate editor for American Libraries.